In a time where technology rules and the internet is an ever-present in the day to day life, it’s imperative that your business not only has a website that matches up to its competitors but goes one better. With WordPress, businesses of any size can create a website that is easy to build, run and host – regardless of whether you have a background in IT. Believe it or not, WordPress currently owns a colossal 30% of the internet and is, without doubt, the fastest growing CMS on the planet, with more than 500 sites being built every single day. So isn’t It about time you started to learn this amazing platform and other valuable online WordPress tips? That’s right, the basic version of WordPress is completely free and available to anybody. WordPress.com is great for beginners, but you’ll want to use WordPress.org if you plan to make money out of your site. Now, as with many CMS’s, there are additional add-ons and plugins that will need to be purchased if you want to take your site to the next level and really increase your ranking and conversion rates – but a free version of WordPress is most definitely available and is perfect for honing your website building skills. One of the reasons why WordPress is so popular is because it is highly adaptable and can be tailored to your business. Most people associate WordPress with just blogs, however, this is a common misconception, as it can actually be used for all kinds of websites – such as eCommerce sites, Membership sites, eLearning modules, Auction and coupon sites and much more. One of the best ways to customize your site and tailor it to your business is by using some of the thousands of plugins that are available. There are currently over 56,000+ plugins available to download – so we’re sure you’ll find what you’re looking for. Unlike, some other website builders such as Squarespace and Weebly, WordPress gives you total control over all aspects of your website. For example, some other CMS’s don’t give you full ownership of your site and its content and you’re basically just renting from them. Therefore, if for some reason you stop paying, you may lose everything. This is not the case with WordPress, as they allow you to own the files completely. In addition to this, other website builders may restrict you in terms of hosting and may not give you the opportunity to test hosts and seek out the best value. With SEO actually built into the platform, WordPress will automatically generate title tags, headings and meta descriptions for your website, ensuring Google and other search engines are clear about what your content is – which may see you rank higher. This is pivotal in business, as if nobody is seeing your site, you won’t get views which means you won’t get customers. 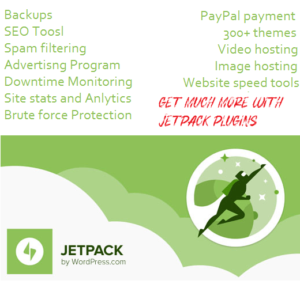 What’s more, there are some great SEO plugins available that will take your site to the next level. Take Yoast, for example. With Yoast, you can choose a focus keyword for each page of your site, the page will then be analyzed and you’ll be told exactly how effectively you are targeting that keyword and be given tips on everything from SEO title mentions to page title suggestions. As mentioned previously, almost 30% of the internet is powered by WordPress, which should be enough to tell you that it is effective. When asked what they like most, users often make reference to its performance, usability, and adaptability – which is why more than 50% of the fastest growing companies are currently using WordPress. Currently the world most used CMS, WordPress has an impressive market share of almost 60%, with the second most popular, Joomla, some way behind on just 6%. Now, if we told you WordPress gets more hits than Twitter, you probably wouldn’t believe us – but it’s true. WordPress currently gets more than 130 million unique visits per month, compared to Twitters 114 million. Now, there were plenty of other reasons why businesses should learn WordPress, but they are the five that we feel are the most important and stand out the most. 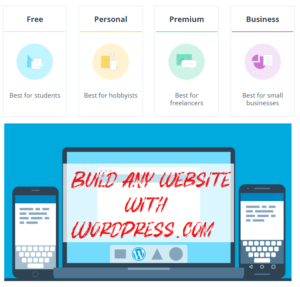 So, if you and your business are considering building a new site, or revamping an existing one, then WordPress is a great place to start – and with it being free, you really don’t have anything to lose. Tahir Taous is an experienced blogger and WordPress user. He loves to write about Blogging, WordPress, and Theme Development. You can download his free WordPress Theme Development Handbook, which reveals more than 100 tools and resources to learn WordPress Theme Development.